Our roots is being one of the first Watchmaker in Japan“Muramatsu watch and clock manufacturing” . “Muramatsu watch and clock manufacturing” was started by Keiichi Muramatsu as one of the first watch dealer in Japan in 1893. His talent and skills was noted widely at other compay, when he succeeded in repairing the imperial watches that the Meiji Emperor loved at the imperial palace. He had his store in Ginza as one of the imperial purveyor of watches in 1913. The manufacture table clocks and pocket watches the “ PRINCE” in 1921. Then, watch the start of fabrication “KEYFORD”. “PRINCE” and” KEYFORD” time piece exports many overseas also been adopted as the official products of the Ministry of Railways. Other companies was following headed for mass production.But Muramatsu specialize in luxury goods as royal warrant against. Moreover, we have provided Mobo gather in Ginza to the forefront of fashion at the time, a state-of-the-art design full of dignity in Moga us the Taisho period is also known. Ginza Muramatsu have been involved in watch production of public affairs for the Imperial Household Agency and until after World War II than founding the prestigious watch manufacturer that people in the know. Founded watch planning a production company (Ltd. Montoruroroi) apparel, jewelry goods manufacturer specialized than in 2005. The revival production original brand “Prince” and “Keyford” than in 2012. In 1960, when Eizo imported the first Swiss made watch master-wrist watch examiner in Japan, Many Japanese people lined up throughout Ginza to have their watches examined. Even the Police was called for traffic support. 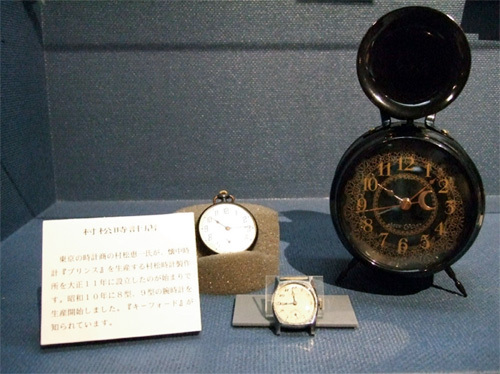 Even after Keizo took over after Eizo regime, the drive and passion of watch making had kept going. Muramatsu-Shoten, continued to manufacture for the government, the imperial household and imperial ceremonies. 1893 Keiichi Muramatsu 1893 is, to the founding of the first watch dealer in Japan. 1906 To advance to the Ginza Ginza as Muramatsu clock shop in 1913. Prince to watch production and sales. 1935 Works by Muramatsu 1935 and “KEYFORD” watch manufacturing start. 1960 when Eizo imported the first Swiss made watch master-wrist watch examiner in Japan. 1966 Muramatsu International inaugurated as Ginza Muramatsu clock shop trade section 1966. Is carried out consistently the business of overseas sales planning with a focus on watches, the clocks, manufacturing, and domestic sales. 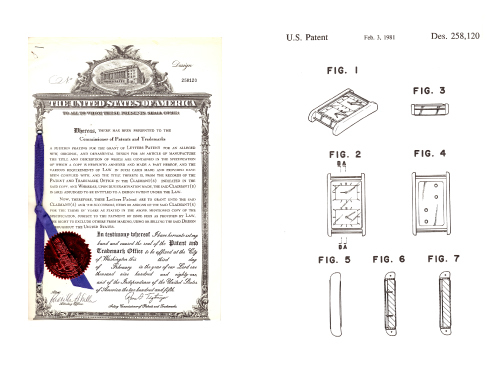 1978 Patented in the United States for TWIN-WATCH manufacture and sale of first. Rice patented, manufactured and sold in the integrated analog clock and digital. 1979 Starting for electronics products in 1979, manufacturing and selling eye. 1980 focusing on the sale of communication industry’ s first, to start production activities. 1981 Start the OEM production of electronics goods and watches. 1986 Sixty anniversary of His Majesty the Emperor your reign “commemorative watch” planning, manufacturing, and sales. 1987 Japan National railway privatization Memorial “Prince pocket watch” planning, production, sales.